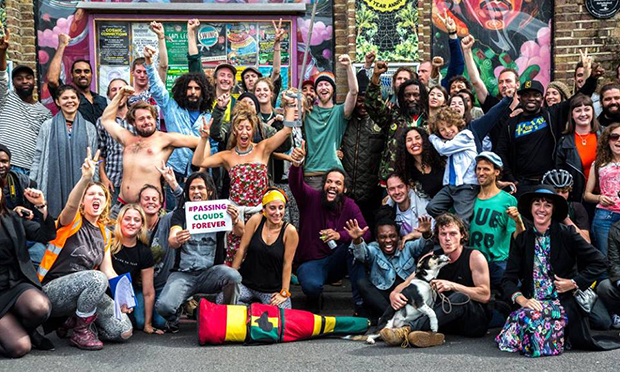 In an exclusive interview with the Hackney Citizen, the founder of Passing Clouds has vowed to keep the Dalston venue afloat, in spite of her recent ban as a company director for failing to pay tax. Eleanor Wilson, boss of the much-loved nightspot, is also in dispute with the building’s new owners Landhold Developments over its tenancy. Passing Clouds’ ten-year tenancy agreement expired last month, though Ms Wilson insists they are not currently occupying the building illegally. Wilson told the Hackney Citizen she had made a private agreement with the landlord to remain until 11 August, but admitted no contract had been signed by both parties. The premises was last week ‘reclaimed’ by protesters after staff arrived at work to find the locks had been changed. In triumphant scenes, supporters were able to clamber in through a second-floor window and wrest back control of the building. But their coup may yet be short-lived, as it emerged that Wilson, as director of Passing Clouds Ltd, has been barred from running a company because of sloppy bookkeeping and her failure to pay thousands of pounds of tax due. The disqualification, which kicked in on 1 June 2016 and lasts for five years, was the end result of an investigation by the government’s insolvency service. Wilson’s bid to have the ban overturned in a court challenge last month (11 May), but was unsuccessful. In a statement to the Hackney Citizen, a spokesperson for the government’s insolvency service said: “Eleanor Mary Wilson, the sole director of a community arts centre and live music venue, has been disqualified from acting as a director of a limited company for a period of 5 years for failing to pay tax and failing to properly maintain and/or deliver up the company’s accounting records. “An Insolvency Service investigation found that Ms Wilson had been the sole director of Passing Clouds Limited from March 2011 and failed to deliver up accounting records to explain cash withdrawals and transactions debiting the company bank account totalling more than £80,000. The case details can be found on the government’s insolvency service website. Wilson told the Hackney Citizen that the company’s tax liabilities had now all been settled with HMRC. She admitted her “bookkeeping wasn’t on point”, and put it down to “complicated personnel issues” at the time. She explained that tax deadlines were missed due to her competing commitments, which included work in Sierra Leone. “I’m involved in international development work [as well as running Passing Clouds] and wasn’t able to juggle the two things,” she said. As long ago as 20 August 2013, Wilson decided that one of her companies, Passing Clouds Ltd, would be wound up voluntarily and a liquidator appointed, according records held at Companies House. Passing Clouds Ltd is one of five companies linked to the venue run by Ms Wilson. It was formed on 31 March 2011, however it went into liquidation less than three years later. Two other companies, Passing Clouds Community Limited and Passing Clouds Community Trust Ltd, were struck off a year later, in December 2014. Wilson also decided to wind up another of her companies, Passing Clouds Trading Limited, on 18 February 2015. Three of the companies, Passing Clouds Trading Limited, Passing Clouds Community Limited, Passing Clouds Community Trust Limited were formed on the same day, 24 January 2013. She was also company director of World Transtition (sic) Trust, which was dissolved on 8 March this year. 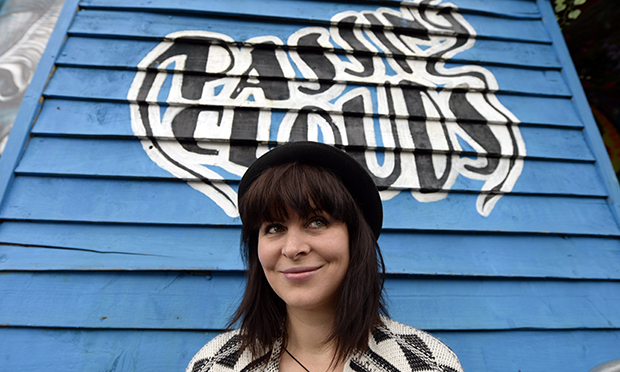 Wilson told the Hackney Citizen that Passing Clouds currently trades as East London Community Arts Ltd. The company was formed just under two years ago, on 14 Aug 2014, and came close to being struck off late last year. When asked why she had set up so many companies with similar names at the same time, Wilson explained that each was set up as as “interim experiment” with the idea that each would run for specific projects, but that this did not materialise. But despite the travails of of the iconic club, Wilson still predicts a bright future for Passing Clouds. Wilson added that the organisation, which she founded ten years ago in June 2006, could survive by adopting a different operating model, such as a cooperative, a Community Interest Company (CIC) or a charitable trust. She also pointed out that she was looking at cooperative and other business models for the future. “With a project as pioneering and long-term as Passing Clouds, I need look into different types of corporate entity to find out which is the right one,” she said. When asked by the Hackney Citizen if Passing Clouds might look for premises elsewhere, Wilson said it would be very difficult. “Rents have gone up astronomically,” she said. A late licence was crucial to keeping the business financially viable, she added, and said the council is no longer issuing them. “We would never find a building like that in central London. We’d have to find a derelict warehouse, soundproof it as a music venue. As an international and cultural community cohesion project – that would be over. It would be almost impossible to set up a project like Passing Clouds again. “We are a frontline community project that set up in what was known at the time as Crack Alley. “Running the place in terms of all the paperwork and licensing and so forth, was a very difficult thing to do.